Up and coming Indie musician and song-writer, 15-year-old Chloe Nixon dropped her first album Anomalous Soul on June 1st, 2018, when she was just 14 years old. The album is available on iTunes, Amazon Music, Spotify, iHeart Radio and more. 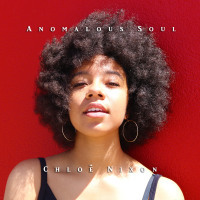 As a young artist, Chloe is creating a fresh sound that combines elements from different genres including R&B, soul, alternative, jazz-rock, dance, and classical. Chloe would like to use music to spread love, positive vibrations, and to be a voice for what she believes in. She writes about things she's passionate about including love, social justice, and just being a teenager. She is a strong supporter of self- expression and believes everyone has something beautiful and unique inside of them. She believes everyone's soul should be expressed because it is a beautiful gift to the world. This particular passion of hers is why she titled her first album “Anomalous Soul”. Chloe had the honor of performing some of her original music, and an aria from an opera at TEDx ABQ in 2015, when she was just 12-years-old. Chloe is classically trained in voice and received a gold medal in the 2017 Golden Key Music festival for her performance of “Summertime” from the opera Porgy and Bess, which she performed at Carnegie Hall. While Chloe is still in school, you can often find her singing and playing her guitar at various venues, such as coffee houses, around Albuquerque.